It was no surprise to anyone in Kendra’s life when she decided to move to Isle au Haut permanently in 2012. As the story goes, her first trip out to the island was in 1954 and she’s been coming back every year since. 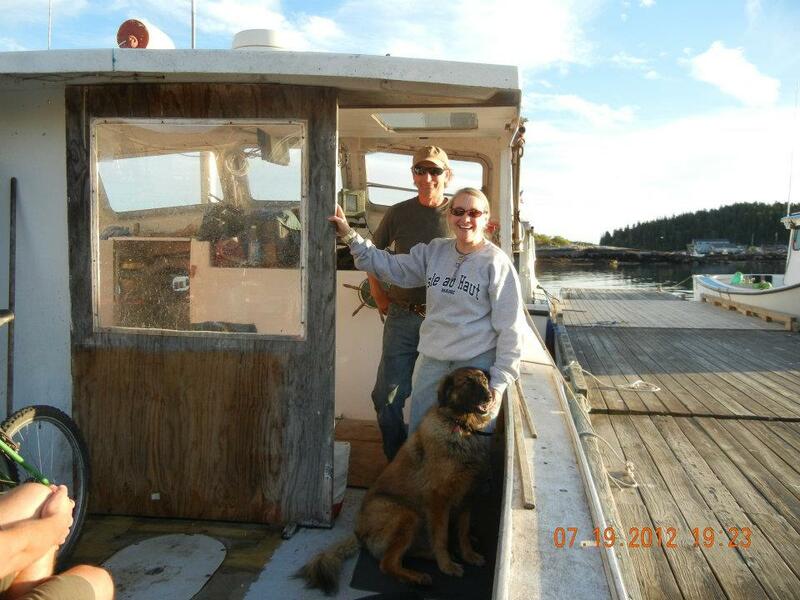 Kendra spent her life on the mainland raising two twin boys and working for Coastal Enterprises, Inc. She had always dreamed of moving to the island and had envisioned herself retiring at her family’s home in Head Harbor. However, that all changed when in March of 2011 Isle au Haut selectman John DeWitt proposed. Kendra put her house on the market, gave her notice, packed up her beloved llama (Maxwell), dog (Greta), ducks and geese and moved in with John. Kendra and John opened Shore Shop Gifts in May of 2012. The gift shop is open seven days a week from 10am to 5pm, May through October (and by appointment November through April). The shop offers an array of Maine made products, beautiful items made my island residents, live lobster, Maine wine and other unique and creative gifts. Kendra has become a true asset to the year round community. She is one of the first to volunteer wherever is needed, frequently donates items from the gift shop for bake sales and auctions, and makes a point to sell wares made from island residents.